Minima is our cutting edge contemporary collection. 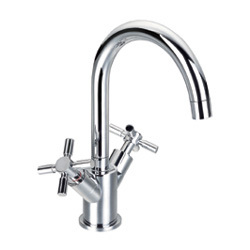 The minima two handle mono basin tap is the perfect blend of precision machined brassware coupled with quarter turn valve technology. It is supplied complete with all fixings and pop up basin waste. The twin handled mixer is suitable for all water pressures including low presure installations. 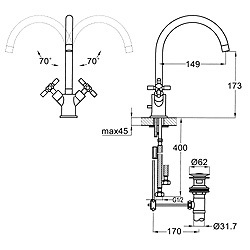 Suitable for most basins including raised and glass bowls.